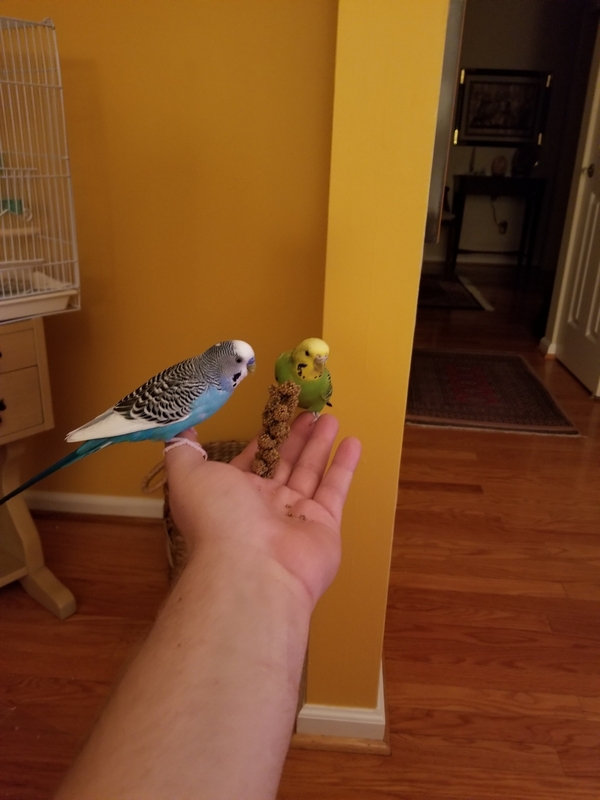 Millet time with Ben and Kiwi!! Ben and Kiwi are quite adorable. Just took a pic of him on top of the bookshelf last night, thought it was a good one. Last edited by budgielyfe; 01-16-2019 at 12:40 PM. Ben sure is a pretty little guy . Such a cute pic. Thanks for sharing. He's a handsome guy, looks like he has a good spot for surveying his surroundings. He and Kiwi love to sit up there and keep an eye on us humans. 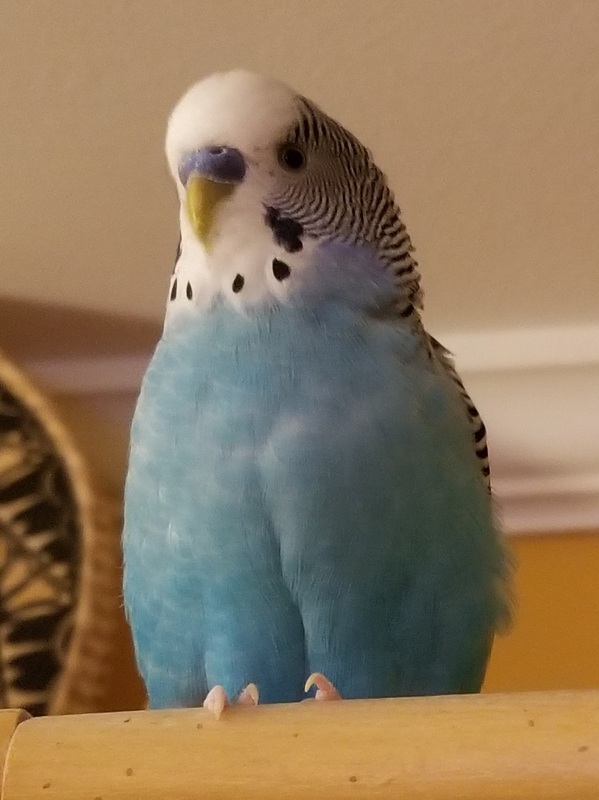 He's sure a handsome bird. I love his coloring. He says" Hi Mom, I'm up here. OH MY GOODNESS THOSE PEEP TOES!!!!! !